Everyone’s favorite serial killer of serial killers Dexter Morgan is back for a 5th season tonight. The crew here at Madtini Intoxicology Labs have an ongoing argument about whether we should officially count the silliness of Season 3 featuring Jimmy Smits. Nothing personal Mr. Smits but wow, just wow that story arc was, well just lameness incarnate. Moving on, Season four ended in an ending or all endings, we didn’t see it coming and we admit to sitting in utter shock staring at our TV in disbelief. Now, how will Dexter cope with all that has happened. The preview trailer has us drooling in anticipation. In honor of the Season Five premiere, the crew at the Labs present you with four great drink mixes fit for any crime scene. Click the links below for the ingredients and preparation instructions. 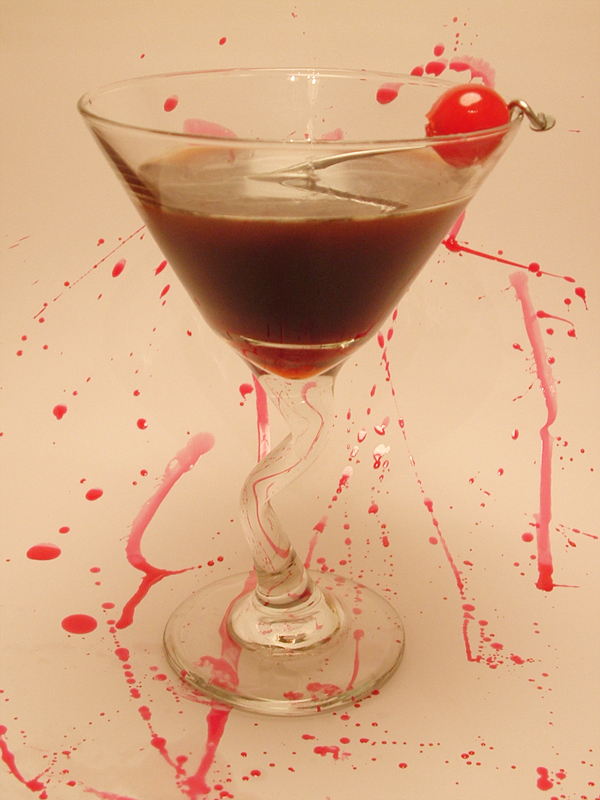 I must go supervise the Madtini interns as they clean up the fake blood splatter in the kitchen… errrr, I mean Labs. Cheers to all Madtini and Dexter fans. Combine the kahlua, vodka and chambord in a cocktail shaker half-filled with ice. 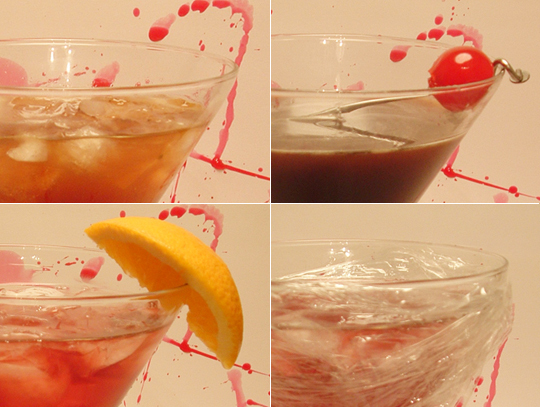 Shake it like crazy for 1o seconds and strain into a chilled cocktail glass. Garnish with one red maraschino cherry. 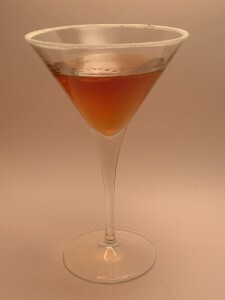 Combine the ingredients in a cocktail shaker with ice. Shake the ingredients like a ship tossed on the sea for 6-7 seconds, strain into a rocks glass over ice. Garnish with a dozen Spanish gold dubloons… or a few mint leaves, depending on what you have laying around the galleon. Add the ingredients to a cocktail shaker filled with ice. 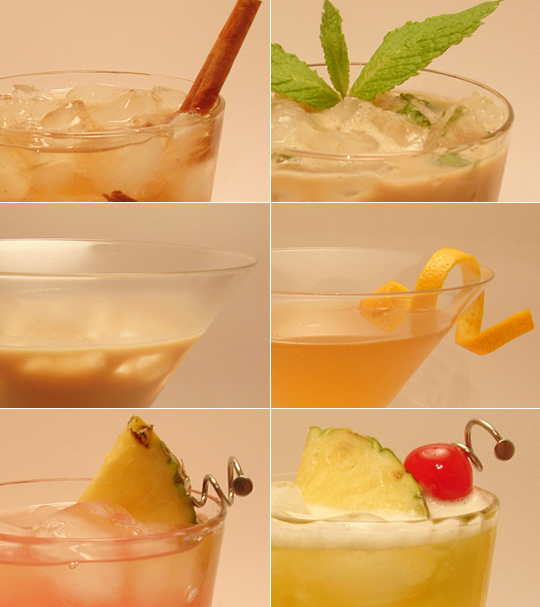 Shake vigorously and strain into a chilled cocktail glass. 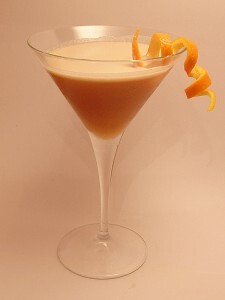 Garnish with a twist of orange peel. We really love birthdays and celebrations here at the Madtini Research Labs and when a little birdie told us that today was @MissVerna‘s special day we got busy trying to create the perfect birthday cocktail. 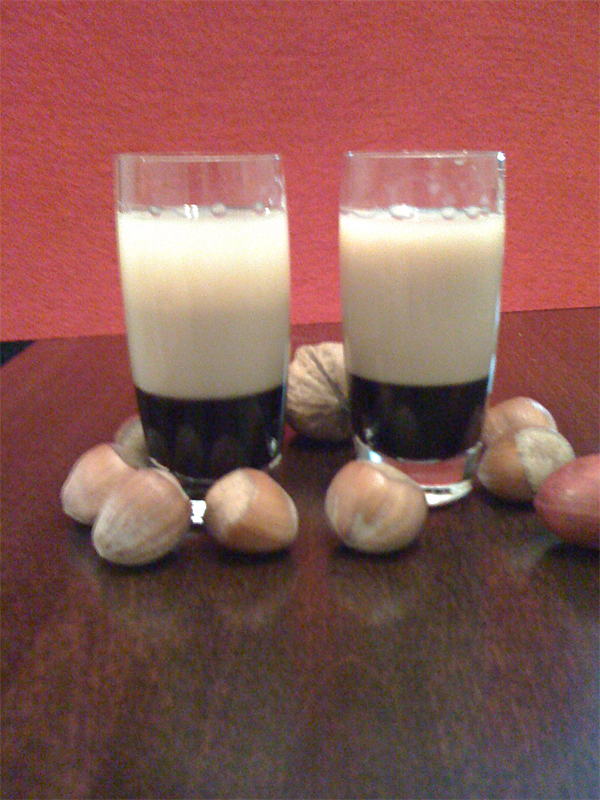 Vanilla vodka, creme de cacao and Kahlua all in one glass? Pure decadence. Have a wonderfully decadent day, Verna! 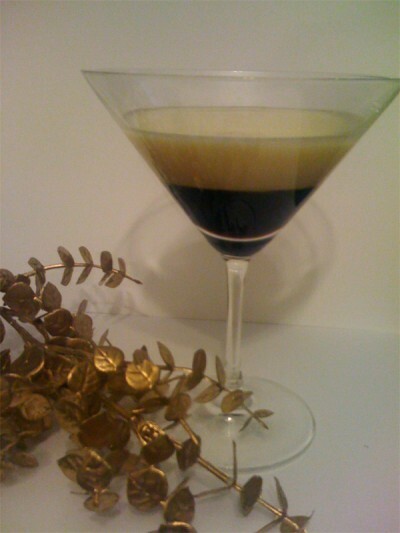 Pour Vanilla Vodka, Creme de Cacao and Kahula over ice, stir with a long spoon and pour into a martini glass with a sugared rim. Oh my, what to with the Raspberry Beret flavored vodka left over from Easter? 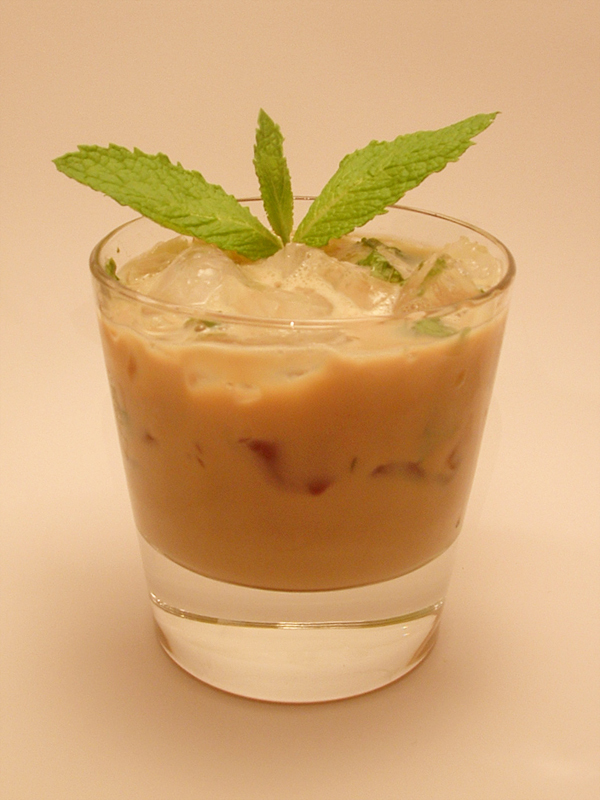 Why not try a classic mudslide with the fresh flavor of raspberry? Done! 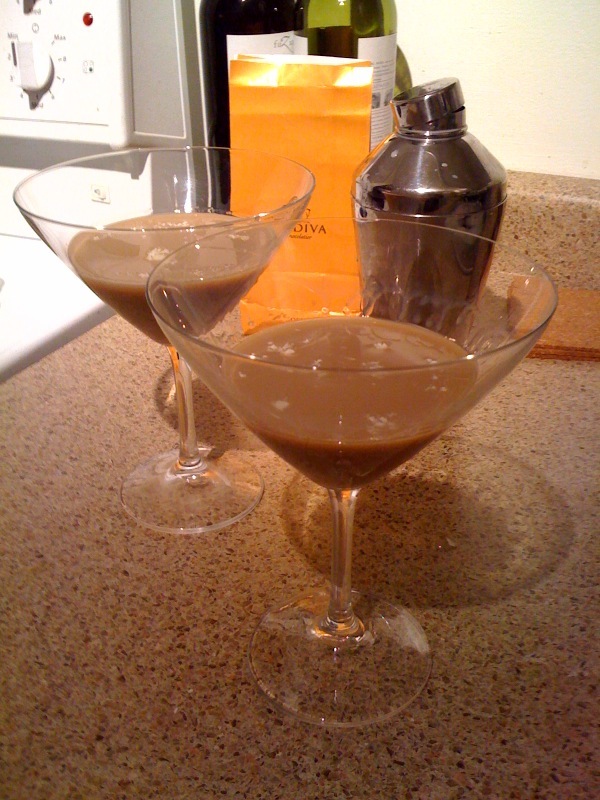 Pour kahlua into bottom of martini/cocktail glass. Carefully pour eggnog on top to create layer. Pour ingredients (in order) into a shot glass, then it’s bottoms up! 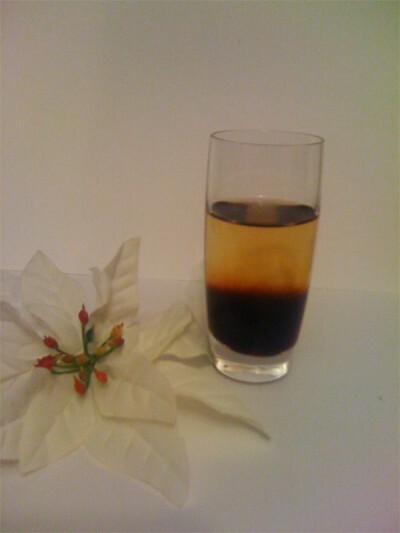 Layer in sequence in a shot glass.